As a plaintiff’s personal injury attorney who handles a wide variety of car wreck cases in Atlanta and the surrounding Metro area, I am sometimes, though not that often, asked to represent people in hit and run incidents. 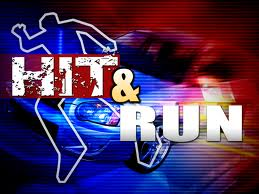 I say not that often because I don’t think many people know that their own car insurance may provide coverage to them when they are involved in a hit and run incident, especially when they are hit as a pedestrian. That may come as a surprise to you. It does to many people, including even other lawyers and judges. Unless you routinely handle car wreck cases as a lawyer, you may not be aware that your uninsured motorist coverage (UM) that you have purchased on your own vehicle also provides insurance coverage when you are hit while a pedestrian by a hit and run car. But the insurance carriers know it, and once you try to make a claim on your car insurance policy for injuries sustained while a pedestrian, that’s when the insurance carriers go into full press mode to trot out every excuse in the book to deny you coverage. It’s wrong on many levels, especially when you were the one who paid the premiums exactly for that situation. It may even border on fraudulent, because they certainly don’t explain that to you when you are paying them the premiums! This unjust situation came to mind recently as I read a story about a young UGA student who was hit by a hit and run driver while she was a pedestrian in Athens. She was severely injured in the incident. It also came to mind because next month I will be arguing this issue to the Georgia Court of Appeals in which I represent a client who was also severely injured by a hit and run driver while he was walking across Peachtree Street in Midtown Atlanta. State Farm Insurance Company denied his claim on his own policy on the basis that he did not report the incident to State Farm immediately. Did you know your car insurance policy, regardless of the carrier, has a provision in it that you must report an incident to them immediately. Which begs the question: what if you don’t know it’s an incident that might be covered by the policy? What average person would think that their insurance policy that covers their car would provide insurance coverage to them when they are on foot? That doesn’t even make sense, does it? That will be the issue I will be arguing to the Georgia Court of Appeals next month, i.e., that no layperson could possibly be held to know that they have to report a injury they received while on foot to be able to get the coverage they have paid for under their own uninsured motorist coverage. So I go back to the young woman in Athens who was critically injured by a hit and run driver. Do you think her parents, while they have been at the hospital 24 hours a day taking care of their daughter, would know to call their own car insurance carrier and tell them they intend to make a claim on their uninsured motorist coverage? Would you?